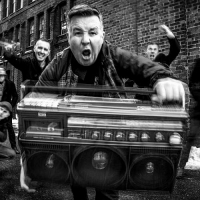 Ska-punk band formed in 1996 in Massachusetts. Key members include: Al Barr - lead vocals, Ken Casey - bass and Matt Kelly - drums and bodhran. They are famed for their boisterous sets, not least St Patrick's Day-type celebrations (due in part to their fierce Irish loyalty to their roots). They released their debut album, "Do or Die" in 1998, followed by: "The Gang's All Here" (1999), "Sing Loud, Sing Proud!" (2001), "Blackout" (2003), "The Warrior's Code" (2005), "The Meanest of Times" (2007), "Going Out in Style" (2011), "Signed and Sealed in Blood" (2013), plus 2017's: "11 Short Stories of Pain & Glory".